The Skinny Doll: S is for snacks! First of the 'S' posts! You'll all be gone mad by the time I'm finished with this challenge! 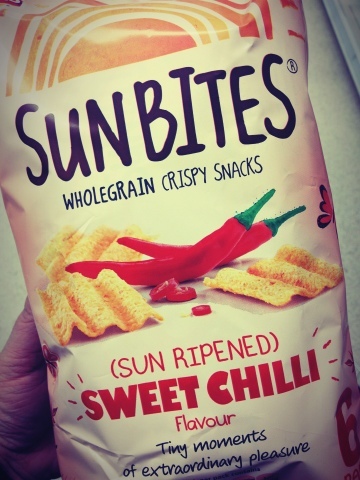 A 'healthy' version of the crisp you might say... Sunbites, which used to be confined to health shops are now available as 6 packs in most supermarkets! 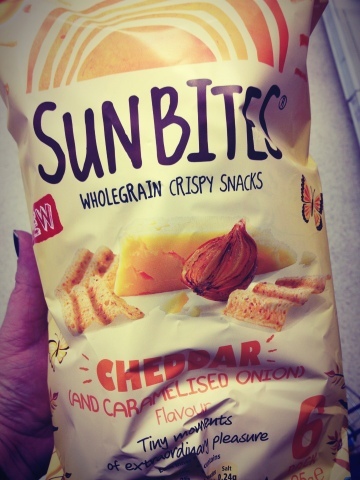 I can only vouch for the cheddar and caramelized onion version which are lovely, but at 3pp per 25 pack they are full of flavour and not fresh air like some crisp packets you may know and love. Worth a try if you're getting board with rice cakes..*raises paw* all the flavours work out the same points! Just don't hoover all six packs! 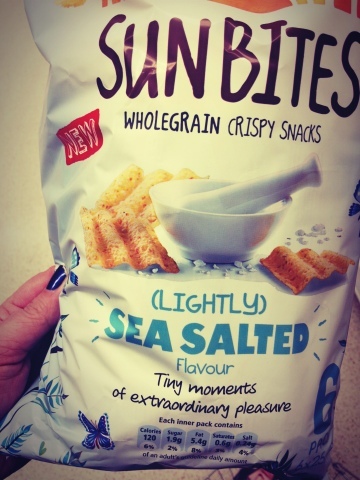 Pleasantly surprised at how lovely these sunbites were - first time I tried them.